The health of your employees is a significant factor in the health of your company. Employees with health risks cost money. The Health Enhancement Research Organization estimated a loss of over $150 billion dollars per year in productivity as a result of unhealthy employees. And, unfortunately, less than 6% of the $1.8 trillion dollar budget for healthcare in this country is devoted to prevention measures. How is the health of your employees affecting the health of your business? The question isn't CAN your company save money, but HOW MUCH MONEY can your company save by reducing health care cost expenditures? Provide the education, screenings, and support your employees need to get healthy and stay healthy. Increase attendance, efficiency, energy, mood, and focus in your office with corporate wellness services. I work with your business leaders, HR managers, and staff to develop a program that brings your company healthy changes, employee engagement, and positive ROI's. Together we can build an effective program that creates savings, a healthy work environment, and happy, efficient employees. Program costs depends on content and design. Contact me to set up an initial consultation. Every wonder why people doze off and glaze over at meetings after eating slices after slices of pizza? Learn what meal options promote energy, concentration, and satisfaction. Work with me one-on-one to create healthy and delicious meal options for your corporate event, cafeterias and more. Receive catering planning and scheduling assistance to find the best match for your office/event. Find allergy-free and gluten-free meal options that satisfy your employees needs. Have continuous follow up support by email or phone. Cost depends on the size and needs of your company. Contact me to set up a consultation. Productivity is highest with employees are healthy and happy. 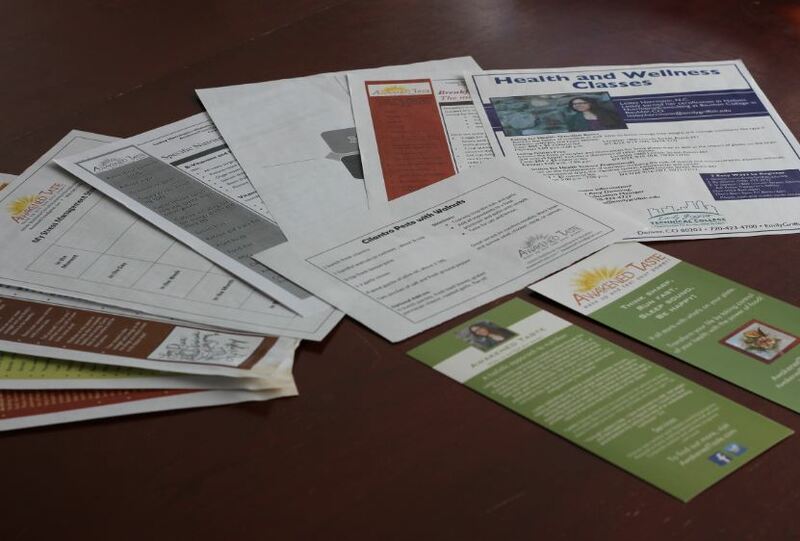 Find customized, personal attention your employees deserve in a corporate wellness program. Your investment will have long-lasting benefits. Relaxation session at BrandJuice in Denver CO.